Relocation is exhausting, energy draining. I learned the hard way, after moving twice in less than 3 ½ years, that it is vital to my wellbeing to find ways to embrace and enjoy the process of moving. Let’s play the Would You Rather game for a moment. Would you rather put move related tasks and ensuring that your family is acclimating well at the top of your priority list, at the risk of ignoring your own grief and anxiety? OR would you rather include your own emotional and self care needs on that list in order to create a much less stressful and enjoyable relocation? When we moved the first time, my perspective regarding moving was good. It was also really hard leaving our home and friends after 11 years. This is the place where I met my husband and we started our family. We were settled and happy with our neighborhood and jobs, and the life we built around them. We were moving to a city much closer to family (1 ½ hours) for the first time, and in a neighborhood with friends around the corner. Both big pluses. Putting more emphasis on the positive things about relocation allowed me to start connecting and embrace the move right away. Our second move, 3 years 4 months later, took 4 years to feel settled and at home. One big change was that we moved further away from the heart of a city. I got really stuck on the fact that we live so far out and was not ready to move again so quickly. Looking back, I can clearly see that I prioritized the moving details and wellbeing of my family over taking care of myself and my emotions. That was a lot more comfortable than admitting I was grieving and anxious. In hindsight, as a coach, I know that I should have done a much better job then, including establishing place attachment. I now fully understand both the difficulty and importance of addressing stress and fear, and taking care of our self while caring for the needs of others. Focusing on the positive points about relocation, turning it into an adventure, if necessary, is a good first step to take. Moving can happen too quickly in some cases. Regardless of timeframe, it is vital to take time out for ourselves, to work through emotions even when they are messy. Embracing relocation and creating a much less stressful, enjoyable experience involves taking care of yourself and developing strategies to address the challenges. 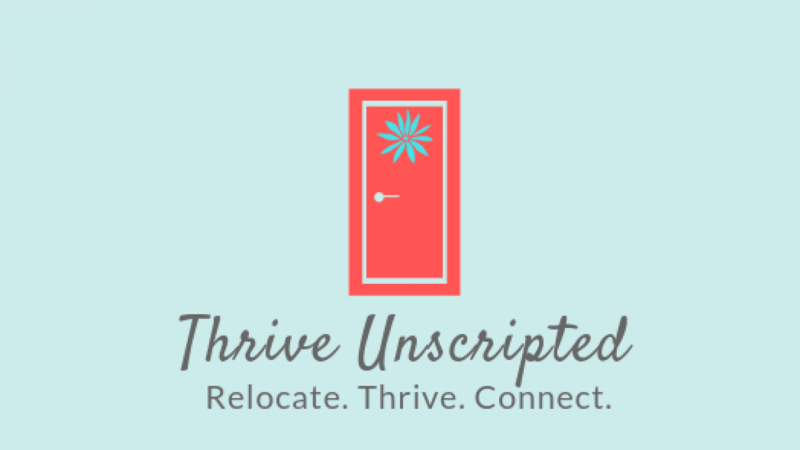 As a Relocation Coach, my priority is making sure you fully embrace and enjoy your relocation journey, and fully thrive, starting wherever you need the most support. If you or someone you know are in the process of moving, let’s connect. To learn more about our self paced and affordable online course, read about it here or click on Relocation Recovery to go directly to the course. For information regarding coaching and packages, please visit my coaching page. ⟵Derailed Moms. Who Are We?